COMMENT: With all the talk of the failed healthcare bill, do people not realize the medical and pharma are the biggest lobbyist to Washington? That’s why Ryan didn’t pass the bill. REPLY: The media will never expose reality. I believe the only way to fix all this mess is to repeal Obamacare in its entirety. Mandate that all insurance must go back to where it was. I know mine would drop by 50%. Then anyone who cannot get coverage goes to Medicaid. Obama just tried to convert healthcare to a TAX, which is why the Supreme Court sustained it. It was a tax; plain and simple. Any attempt to keep Obamacare and tinker with it will fail. It is 7 feet tall. Here is the original Social Security Act of 1935, which was less than 50 pages and the first draft was 14 pages. (Social Security Act 1935). There are 9,625 pages of final rules, compared to the proposed rules which amounted to 7,432 pages. Why do pages count? Because something that extensive precludes even Congressional staff from reading the entire act and understanding what they are voting on. Nobody read that much stuff. There was absolutely NOBODY on Capitol Hill who was fully aware of everything in Obamacare. Whenever a politician labels an act to pretend it is the greatest thing since sliced bread, you better look closer. 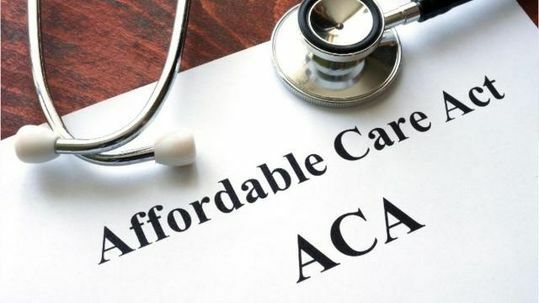 The “Affordable Care Act” did not make health insurance affordable for anyone other than those who could not get it and belonged on government systems. The rest of us paid more, not less. Healthcare is a total mess and it has risen to such a high consumption level within the entire GDP, it reduces disposable income of the average household and that acts simply as an economic depressant. We will simply have to be pushed to the total point of collapse as healthcare keeps growing faster than anything else in the economy except government. U.S. health care spending grew 5.8% in 2015, reaching $3.2 trillion or $9,990 per person. The per capita income for the overall population in 2008 was $26,964. As a share of the nation’s Gross Domestic Product, health spending accounted for 17.8%. Healthcare is bankrupting the entire economy. In FY 2017, total US government spending, federal, state, and local, is “guesstimated” to be $7.04 trillion. The annual GDP is estimated at $18.855 trillion. Therefore the total cost of government is 37.3% of GDP. Adding healthcare, this means that non-productive forces have now reached 55.1% of the economy which produces NOTHING but simply consumes disposable income. When this crosses 60%, it appears we are in for the collapse of an empire in a true Byzantine manner. The problem is not doctors, it is hospitals who want to be paid for those who show up without insurance. This is just a money making business of major corporations trying to increase profits for shareholders. Hospitals should be treated as utilities – period. « Does it Matter If You Are Born Outside USA to be President?